Write down 3, 5 or 10 action items that will inspire you to motivate not only yourself, but the brand you represent. Maybe your logo needs a refresh or even a total reboot. What about adding some new motivational quotes along your office walls? But I know you’re busy. You are trying to decide if it should be Mt. Everest or Kilimanjaro as Bucket List Item #7. I get that. We’re here to help. 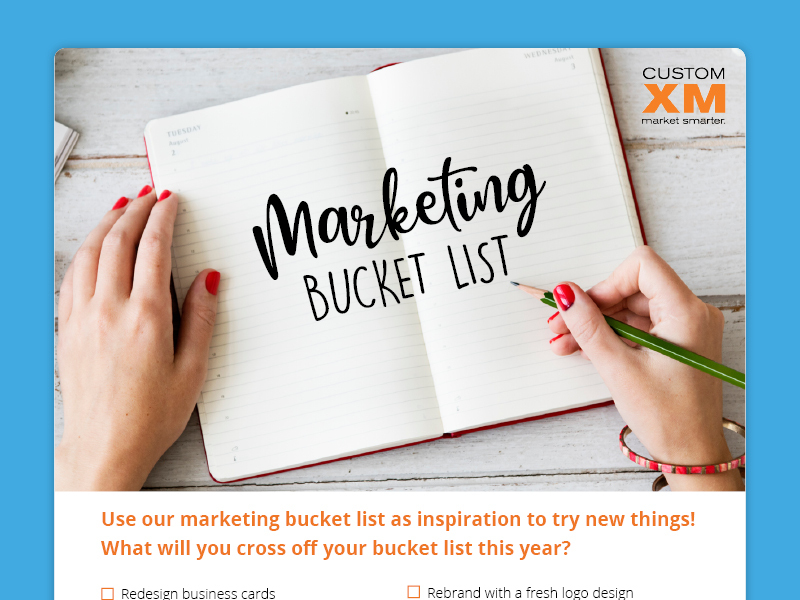 We’ve prepared our own Marketing Bucket List for you. Download below! Now get started… get inspired…get moving… you never know when you may kick the….